Pan-roasting makes chicken thighs perfectly crisp on the outside and tender and juicy on the inside—and it’s easy! Are you a fan of the chicken thigh? I sure am. 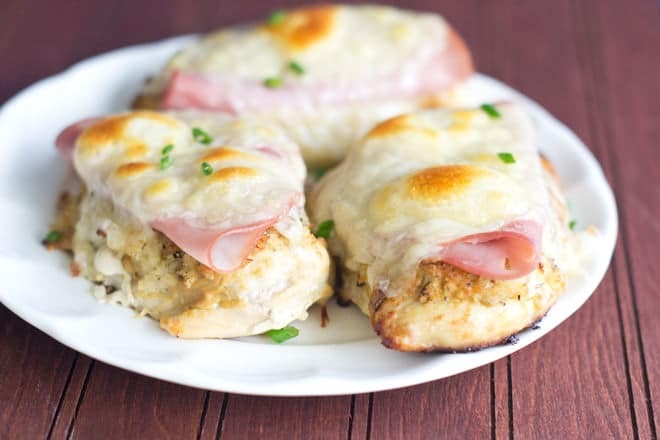 Light-meat chicken might be waaaay more popular, but thighs are more flavorful. And they even have some nutritional advantages. According to Men’s Health, chicken thighs have almost 50% more iron and zinc than breasts. Why are thighs more flavorful? One reason is they have a little more fat. Not a lot, but a little. 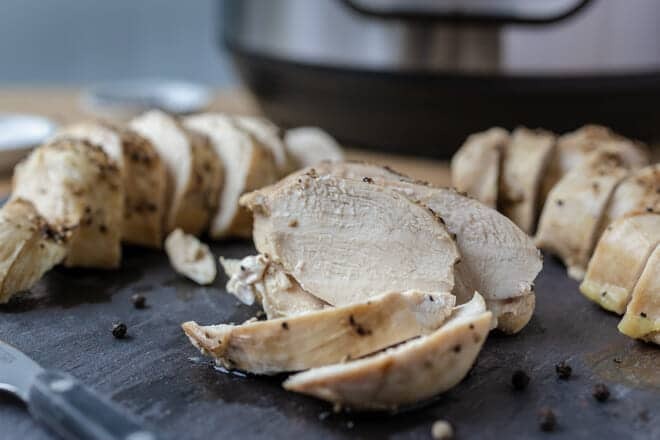 And that bit of extra fat also helps them stay juicy and tender and gives you a little more wiggle room between perfectly cooked and overcooked (as opposed to chicken breasts, which can go from done to dry and tough very quickly). I even like my thighs bone-in and skin-on. Skin-on adds even a little more fat, but I think it’s worth it for the yummy flavor and crispy skin. That said, my cooking method below will work for thighs with or without skin and with or without bones, as long as they’re about an inch thick. And that method? It’s pan-roasting, and it’s EASY! You start in a very hot skillet on the stovetop, which quickly sears one side of the chicken, getting it nicely crisp and brown. 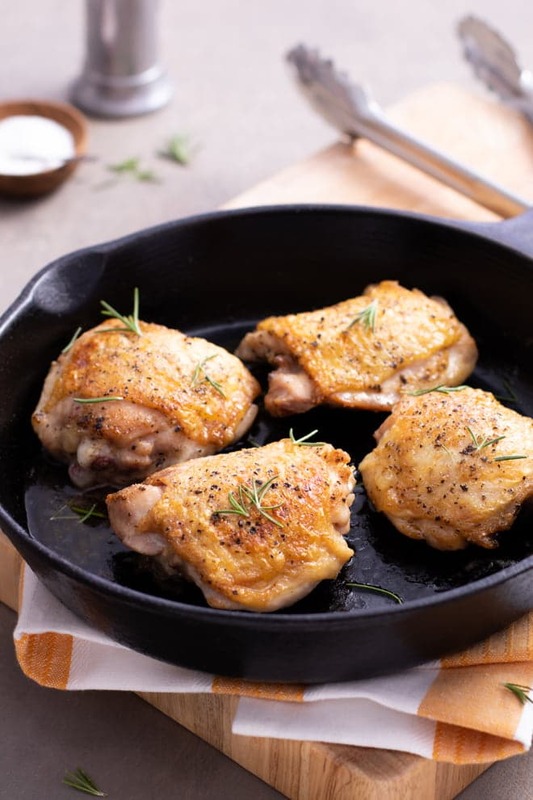 Then you flip the chicken and move the skillet to the oven, where the second side browns from contact with the skillet and the oven’s heat roasts the inside to tender, juicy perfection. If you’re a regular reader, you’ll know that pan-roasting is also great for chicken breasts, chops, steaks, and even salmon—pretty much any protein that’s 3/4-inch or thicker. To test for doneness, use an internal thermometer and go for 165°F. You can also test for doneness by touch—a perfectly cooked chicken thigh should feel firm, but not rock hard. Or you can use this method, choosing medium for chicken. 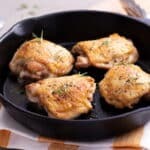 But the bottom line is this: after a few minutes on the stovetop and then a few minutes in the oven, all your chicken thighs will need is to achieve simple perfection is a few minutes rest. When the oil is good and hot, add the chicken and cook undisturbed until well browned, 4 to 5 minutes. 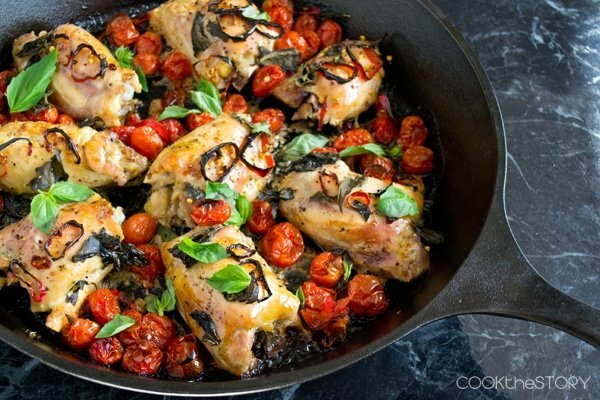 Turn the chicken and place the skillet in the oven until the chicken is cooked throughout, 6 to 8 minutes. 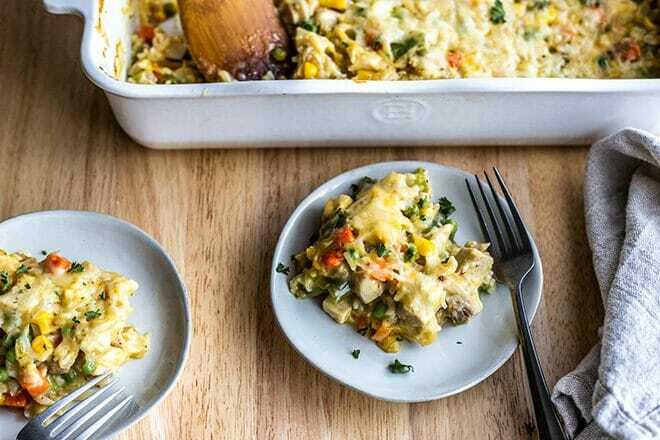 Remove the skillet from the oven (be careful—it will be very hot). Transfer the salmon to plates and let rest for about 5 minutes before serving. Note: Although I prefer bone-in and skin-on chicken thighs, this recipe will work for skinless boneless thighs as well—as long as they’re about 1 inch thick.